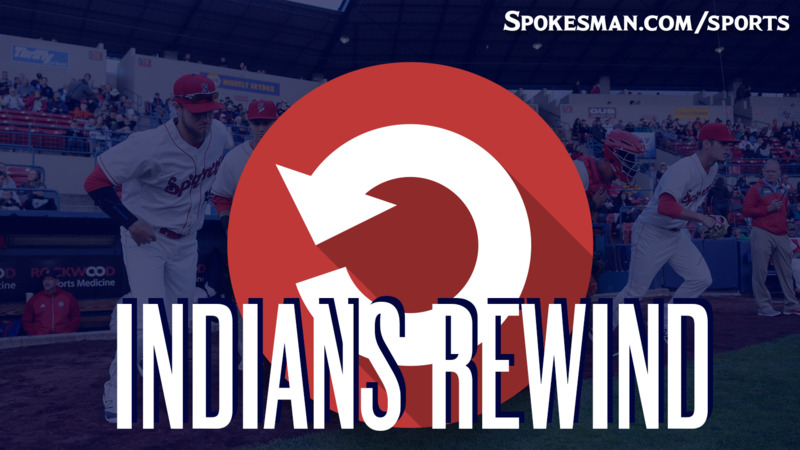 Danny Edgeworth went 2 for 5 with two RBIs and the Boise Hawks (1-0) beat the Spokane Indians (0-1) 7-4 on opening night at Avista Stadium on Friday. The Hawks rallied for three runs in the fifth to build a 6-0 lead, but the Indians came back with four runs in the seventh, taking advantage of three walks and a hit by pitch, and Starling Joseph added a run-scoring single. Joseph finished 3 for 5. Boise picked up an insurance run in the ninth on a walk, wild pitch and a throwing error by third baseman Diosbel Arias. The Good: Starling Joseph. Led a nine-hit attack with three hits, Miguel Aparicio, Diosbel Arias and Isaias Quiroz added two hits apiece. The Bad: The Indians weren’t able to lump those hits together. Their rally in the seventh was a product of a skittish Boise pitcher, not of their own doing, really. Leadoff hitter J.P. Martinez, the Texas Rangers No. 3 prospect just assigned to the Indians this week, went 0 for 4 with a walk in his Northwest League debut. He was tearing up the Dominican Summer League – 9 for 22 with a home run, triple, double and nine walks, including four in a single game on June 4, in seven games before the call-up. The Ugly: Scheduled starter Hans Crouse was injured during warmups and did not play. According to a team spokesman, he suffered a cut on one of the fingers on his throwing hand. “It doesn’t seem to be too big of an issue,” first-year manager Kenny Holmberg said of Crouse’s injury. “It didn’t seem like it was the right thing to do to put him out there with a little blemish on his throwing hand. The Takeaway: Obviously, losing Crouse to injury was the big deal. It seems like a minor thing and he shouldn’t miss any time, but any time the organization’s No. 4 prospect and second-round pick from the previous draft is scratched from a start, it can send chills throughout the system. The Rangers have already lost top-10 prospects Cole Ragans and Chris Seise for the season due to arm injuries. Next Game: Indians vs. Boise at 6:30 p.m. on Saturday. LHP Jake Latz is scheduled to make his first start of the season for the Indians. Published: June 16, 2018, 11:55 a.m. Updated: June 16, 2018, 3:52 p.m.